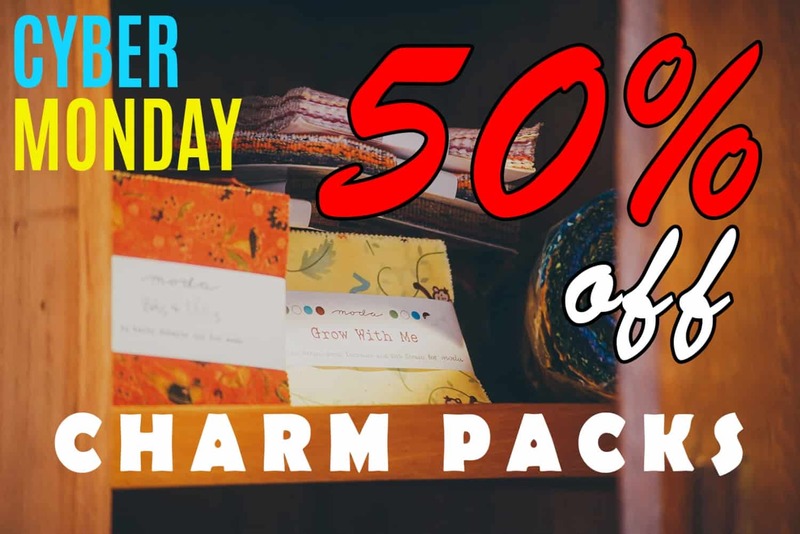 CYBER MONDAY Fabric Sale – All Charm Packs 50% Off! We’re keeping with Friday’s tradition of breaking records on how much we’re slashing prices. Enter the coupon code into your shopping cart and see the prices cut in half! This is for Monday, November 26th 2018 only! And only while supplies last.